Turn up the Ghetto Blaster. Fat and Funky Lead lines, Crunchy Nu-Rave Basslines, Sweet 80s style Chord Progressions, Pristine Analogue Nu-Disco Arpeggios, and everything from pounding Linn Drum rolls to electrifying Disco Lazers! Indie Dance and Nu Electro is a fresh palette of Nu Skool sounds and samples for musicians who are listening to the sounds of Vitalic, Grum, Cassius, Prins Thomas, Crazy P and Fred Falke, or labels including Boys Noize, Ed Banger, Turbo, Gomma, DFA or Kitsune. Boasting over 1GB of fresh and funky Soundbytes, with 213 24Bit loops and 233 Single Shot Samples. In detail Indie Dance and Nu Electro includes no less than 82 Fresh Synth loops, 104 Heavy Drum Loops, 27 Super tight Bass lines, 10 Single Shot Bass tones, 112 Single Shot Processed Drum Samples, 62 Dayglo FX, 35 Juno Samples, and 15 Searing Synths. 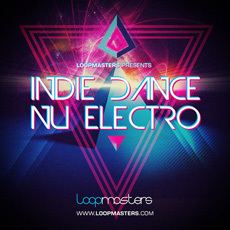 Turn up the Ghetto Blaster, swap the laces in your High Tops and get ready for some Raw Indie Dance Attitude and Nu Skool Hip Hop flavours with this stunning new collection of sounds from the Loopmasters stable!